THIS IS A COMPLETELY SLS , PARABEN FREE LIQUID SHAMPOO MADE WITH TEAS INFUSED WITH HERBS THAT WORK WONDERS ON YOUR HAIR AND SCALP. 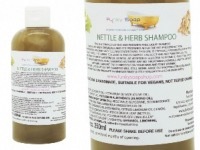 THE MAIN INGREDIENTS ARE NETTLE LEAFS, MARSHMALLOW ROOT AND ROSEMARY TO CREATE A SHAMPOO THAT WILL SOOTHE YOUR SCALP, REDUCE HAIR LOSS AND WORK TO ELIMINATE DANDRUFF AND ITCHY SCALP CONDITIONS. 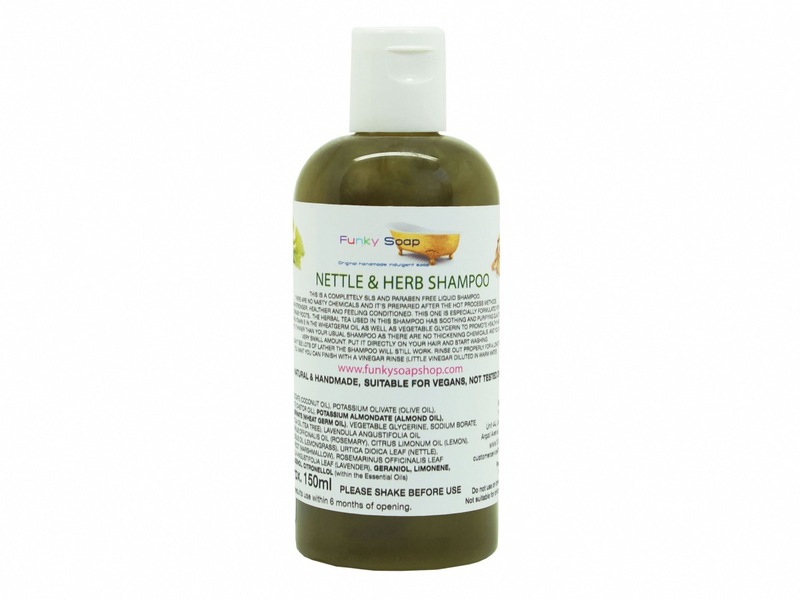 THIS SHAMPOO IS ESPECIALLY FORMULATED FOR IRRITATED SCALP AND GREASY ROOTS. IT ALSO HAS HIGH CONTENT OF COCONUT OIL AND OLIVE OIL TO REPLENISH AND RESTORE THE SHINE, LEAVING YOUR HAIR SOFT AND HEALTHY. 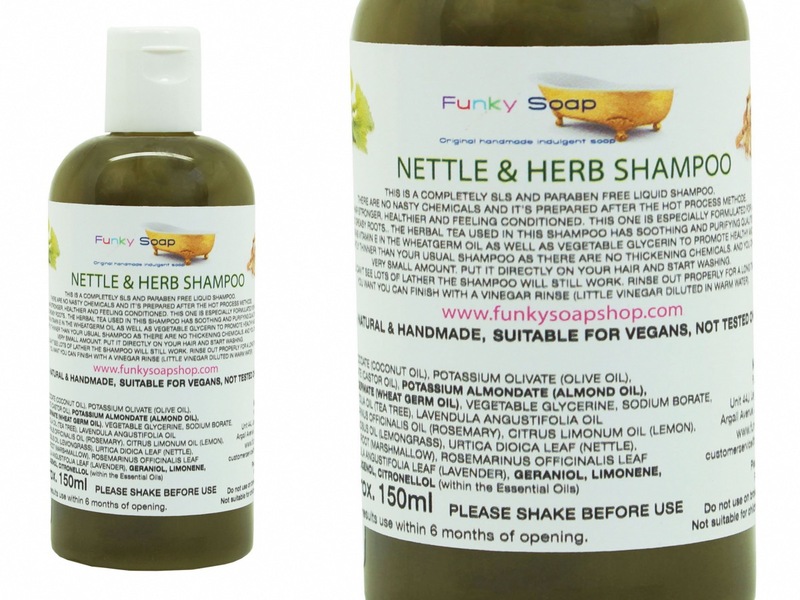 THIS IS SLIGHTLY THINNER THAN YOUR USUAL SHAMPOO AS THERE ARE NO THICKENING AND HARSH CHEMICALS, YOU ONLY NEED A VERY SMALL AMOUNT. 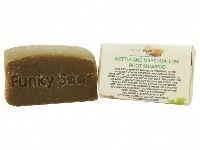 DIRECTLY APPLY TO YOUR HAIR AND LATHER IT UP AND RINSE THOROUGHLY WITH WATER. YOU CAN LEAVE THE SHAMPOO ON YOUR HAIR FOR A FEW MINUTES TO GET THE FULL EFFECT OF THE TREATMENT. TO STAY NATURAL YOU CAN USE OUR CONDITIONERS OR A VINEGAR RINSE. PLEASE KEEP OUT OF EYES! PLEASE SHAKE BEFORE USE! 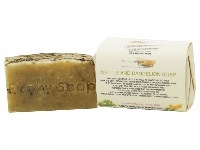 OUR PRODUCTS AREW ALL 100% NATURAL AND HANDMADE IN SMALL BATCHES. SHAPE, COLOUR, SCENT, SIZE AND APPEARANCE CAN VARY SLIGHTLY BETWEEN BATCHES AND IT IS IN THE NATURE OF THIS PRODUCT.AS THEY ARE ALL NATURAL SCENTS THEY MIGHT NOT BE AS STRONG OR DEVELOP WHEN IN USE.